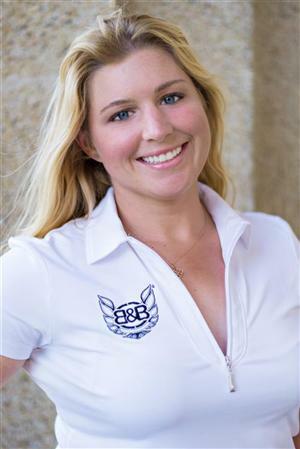 Jupiter, FL – LPGA rookie golfer Megan Grehan has received support from Burger & Beer Joint, LLC. The four-unit restaurant chain, which has plans to open 15-stores over the next five years, has signed a two-year sponsorship to support Megan. Megan will play in at least 17 tournaments and as many as 31 depending on qualifying. Megan started playing golf at the age of five and has never looked back. She won the 2002 NY State Women’s Amateur tournament at the age of 13 and became the youngest to win the event. Megan later earned a full scholarship to Vanderbilt University in Tennessee before going on to play on the ladies European tour. Burger & Beer Joint is a full-service gourmet burger sports restaurant with a Rock N’ Roll theme. With locations in South Beach, Miami, Pembroke Pines and Orlando, FL (opening in May 2014), Burger & Beer Joint is expanding through franchising and corporate stores. Megan will be a brand ambassador for Burger & Beer Joint with logos on her golf attire, her likeness in advertising and personal appearances at some of the restaurant units.